We have been in Africa for months now, so my stock of easy frozen vegan treats ran out a LONG time ago so I have really been experimenting with making my own a lot more than I used to. 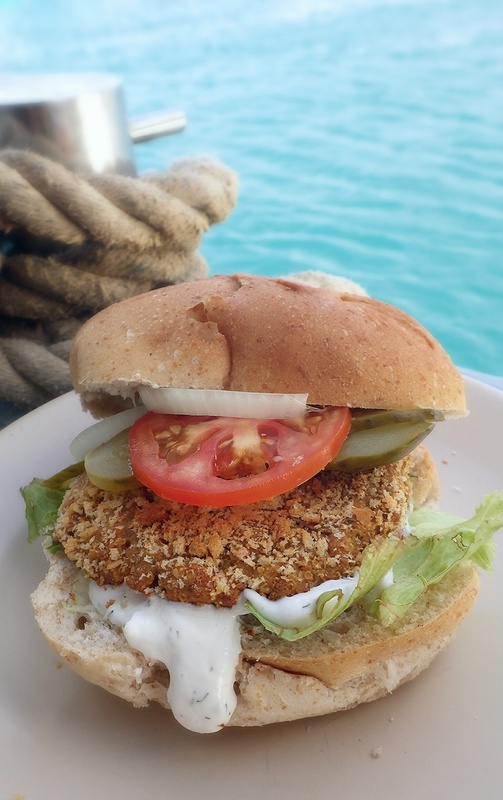 Many of the crew absolutely loved FRY’s chicken burgers and schnitzels that we had a while back, so I wanted to find a recipe to make something similar, but with ingredients I still had or was able to get hold of easily. Sometimes DIY is so much more fun anyway, and you know exactly what your putting into your dinners, knowing they are preservative free etc., which is not always the case with many of the vegan ready made foods available at supermarkets in the US, UK, Australia and other western countries where people actually know what you mean when you say your vegan! These burger came out really, really well and are actually pretty simple to make, you just throw it all in a bowl together and mash it up basically. Make sure you don’t leave them in the oven too long though, so they don’t dry out. Place the chickpeas in food processor and pulse until all are broken up and pasty. Transfer to a mixing bowl and mix well with the remaining burger ingredients. Knead a couple of times with your hand to make sure everything is well combined, then divide into 6 equal portions. Flatten and stretch each piece into burger or schnitzel shapes. 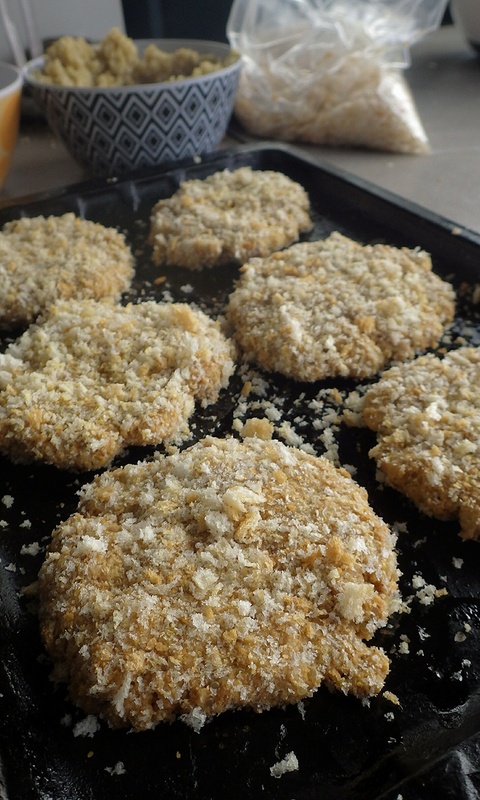 Mix up the breading ingredients in a shallow bowl, then press each burger into mix to coat each side with breadcrumbs, and place on a lightly greased baking sheet. Cook in the preheated oven for 30-35 minutes until golden brown, flipping half way trough. I like to serve these burgers with vegan mayo, lettuce tomato and wholegrain rolls. Place ingredients in a clean glass jar or container and shake well to combine. Note: If using dried herbs that are not ground, place everything in a coffee grinder and grind together to a powder, then transfer to a clean container to store. Seitan is a vegan protein source made from vital wheat gluten flour, so essentially the gluten part of wheat flour. Its really versitile and can be used to make all kinds of meaty vegan foods. Its high in protein and low in fat- depending on how you make it. No good if you have a gluten allergy but otherwise I love using gluten flour!